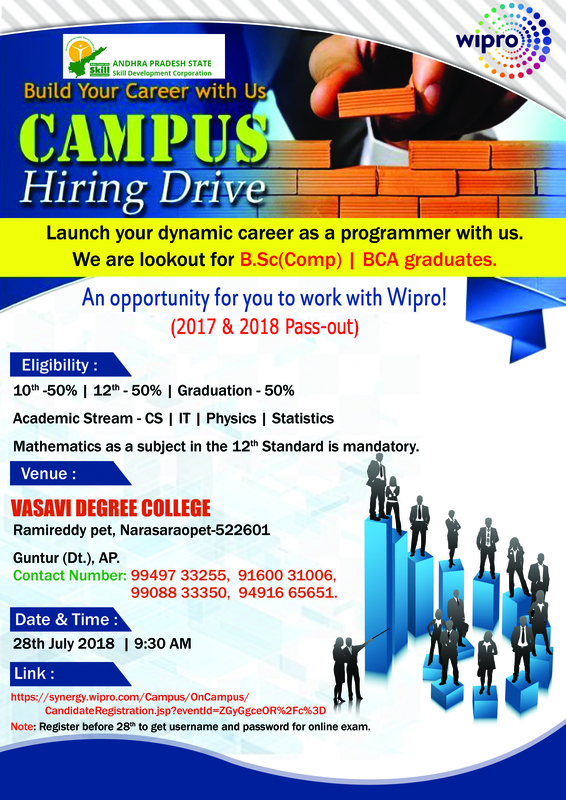 Vasavi Degree College, Narasaraopet Established in 2003 with the motto of imparting qualitative education in the threshold of palnadu i.e Narasaraopet. 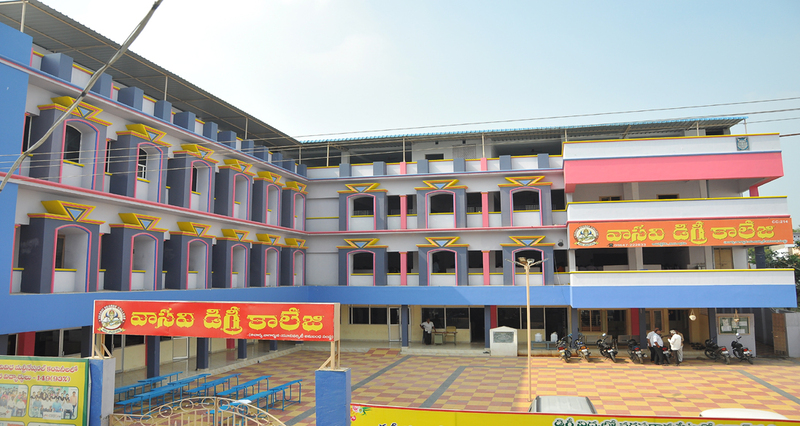 Vasavi Degree College (College Code : 214) is being run by Kalki Educational Society. It is affiliated to Acharya Nagarjuna University. It Carves a niche for it self in the annals of the history of Narasaraopet by inculcating education for knowledge and livelihood through teaching and practice.